I am Christine Richards and as a mobile therapist, specialising in Reflexology, Indian Head Massage and Energy Alignment in Horsham, Southwater, Storrington, Haywards Heath, Worthing and the surrounding areas of West Sussex, I visit you in your own home offering professional individual treatments. My training and experience enables me to treat you as an individual and prepare a separate treatment plan to suit your particular needs and requirements. Reflexology and Indian Head Massage are complementary or holistic therapies which means they treat the whole body, not just the physical symptoms of illness or disease. Therefore they are suitable for people of all ages for both relaxation, as well as treating stress-related disorders and other illnesses or conditions. The Functional Reflex Therapy framework for Reflexology is designed for children and adults with autism, autistic spectrum disorders, learning difficulties, neurological impairment, challenging behaviours and complex health needs and is an enjoyable and beneficial whole experience for more vulnerable adults with Dementia and Alzheimers. 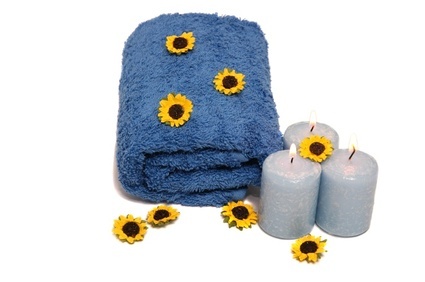 The primary intention of this positive touch therapy is to encourage relaxation 'in the moment' where regular sessions may reduce stress and anxiety : relieve tension : help improve mood : encourage social interaction : increase receptiveness. and generally support individual well being and help those receiving the therapy to prepare for ongoing activities. The Energy Alignment Method is the only Energy Psychology process designed to get you Living the Law Of Attraction. Our mission is to enable more people to understand how to be happy and change your life. It is a bridge between Eastern & Western Principles, there is a deep basis in eastern spiritual principles, universal laws, therapeutic methods and energy work and it is based on modern research into quantum physics, neuroscience and neurocardiology. The Energy Alignment Method is a speedy, effective 5 step process to shift your energy into a coherent energy state. This coherent energy state is known as flow, you’ve probably hear people talk about flow. The state of flow or alignment actually creates changes on a physiological, psychological and energetic levels of our experience. I am a professionally trained Reflexologist having experience over the years in Maternity Reflexology and Reflexology for couples with fertility issues. I have treated both male and female clients and as a reflexologist, I have treated clients who suffer with stress related disorders, headaches or migraines, digestive disorders, fatigue and lack of energy, hormonal problems, fertility or menopausal issues, and children and young adults with developmental difficulties. As a reflexologist, I specialise in working with women with hormonal problems, especially with fertility issues and menopausal issues around Horsham, Worthing and surrounding areas of West Sussex. For fertility issues I offer reflexology on a pay-as-you-go basis or you can choose one of my two reflexology packages. Please click here to request details. For symptoms of menopause, these can be very uncomfortable and upsetting for example, hot flushes, irritability or mood swings, weight gain, lack of libido, palpitations and hormone imbalance. If you'd prefer a natural way to combat these symptoms and more, then my 'Vibrant Woman Programme' is the answer. Please click here to request details of my Vibrant Woman Programme reflexology package. Free Health and Lifestyle Analysis - please click here to take this quick and simple analysis. Do you take nutritional supplements or would like to but are unsure which ones are right for you? We are all individuals and each of us use the nutrients we get from our food at different rates. Therefore, a 'one size fits all' supplement is simply not the best approach. Take my Health and Lifestyle Analysis to pinpoint exactly which of your body systems may be having an impact on others and which nutrients may be able to support this. It'll take just a couple of minutes to complete. Please click here to take this Analysis. Watch this video to understand the benefits of Body Prime. Click here to order at wholesale prices. Gift Vouchers are always available for Birthdays, Anniversaries, Christmas, Mother's Day, Father's Day, Valentine's Day, or any other special occasion or celebration. Please click here to contact me for a Gift Voucher. Please click here for other Special Offers. Samaritans’ Executive Director of Fundraising and Communications, Rachel Kirby-Rider said: "Thank you to Christine Richards Reflexology who is helping make Feel Good Friday such a successful fundraiser. Samaritans receives a call for help every five seconds, and funds raised will help us answer more calls from people struggling to cope." The areas I cover as a reflexologist offering Indian Head Massage, Reflexology, Energy Alignment, Health & Lifestyle Analysis and Nutritional Advice are Horsham, Southwater, Partridge Green, Burgess Hill, Cuckfield, Haywards Heath, Henfield, Steyning, Worthing, Hove, Cranleigh, Ashington, Billingshurst, Shipley, Storrington, Pulborough and the areas inbetween. I will travel outside a 15 mile radius of Dial Post but I may have to include a small extra charge, unless there are two or more clients in the same area. Please click here for details. Reflexology, Indian Head Massage and Lifestyle Analysis .